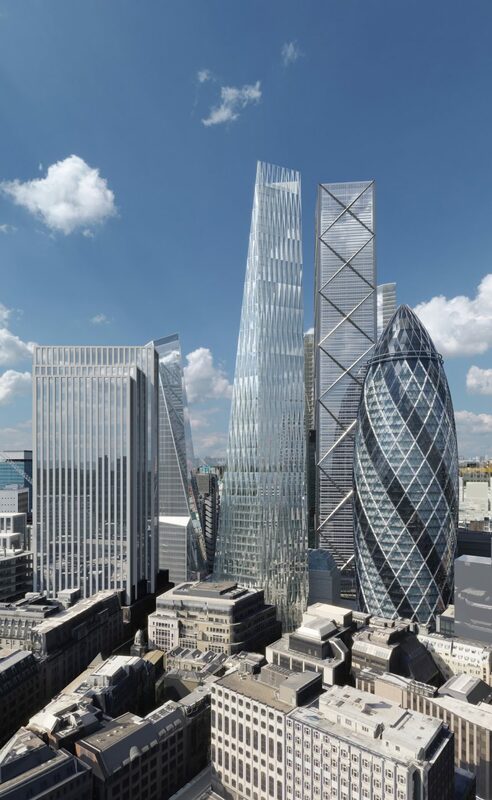 Called The Diamond, the 248.2-metre-high tapered tower will be constructed at 100 Leadenhall Street, in the city’s financial district. The tower will stand next to Rogers Stirk Harbour + Partners’ similar-shaped 224-metre-high Leadenhall Building – nicknamed The Cheesegrater. Publicly accessible viewing galleries will span the building’s top two floors. The 55th floor will have 360-degree views over London, while the 56th level will be a triple-height space giving views to the south and of Renzo Piano’s Shard. 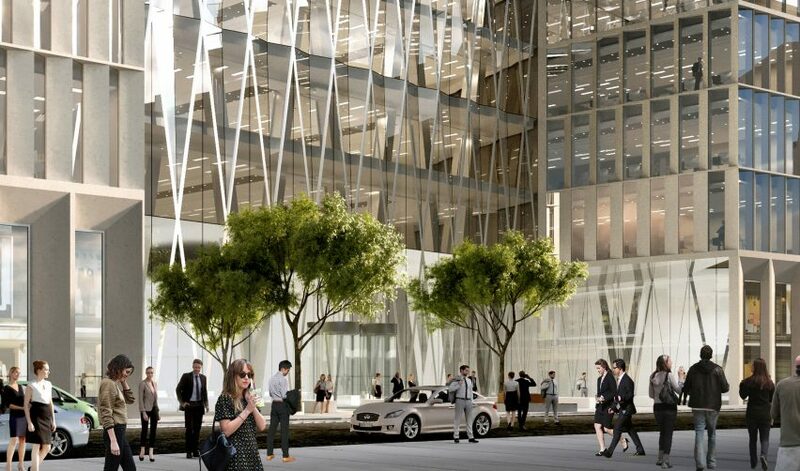 Over 900,000 square metres of office space will occupy the rest of the skyscraper’s floors, along with shops and public spaces at the building’s base. SOM’s designs have been approved by the City of London’s Planning and Transportation Committee, and now await final approval from the London Mayor Sadiq Khan, and the London General Assembly. “The City of London is a unique combination of heritage assets with some of the most internationally recognised buildings of the 21st century. SOM is proud to be a part of this architectural legacy,” said Kent Jackson, design partner at SOM. The Diamond will be built within a close-knit formation of towers known as the Eastern Cluster, which also includes Norman Foster’s Gherkin. Together with PLP Architecture’s 278-metre tall 22 Bishopsgate tower, which is currently under construction, The Diamond will form the sides of a “mountain” formation in the cluster, with Eric Parry Architects’ 289.9-metre tall 1 Undershaft at it’s peak. Backed by Hong-Kong-based developers Lai Sun, the tower is estimated to take four years to build. Although existing tenancies at the proposed site aren’t due to expire until 2023, the developers said that work will start as soon as buildings are vacated – meaning the building could be finished earlier than 2027. Other SOM skyscrapers currently in the works include a 180-metre high tower covered in gardens in Paris, and a pair of towers for Chicago’s waterfront, one 335-metres high and one 259-metres.